Eurocom (www.eurocom.com) is adding the AMD Radeon HD 8970M in CrossFireX, the world’s fastest notebook graphics card, to the Panther series of ultra high performance, custom built, fully upgradeable laptops. 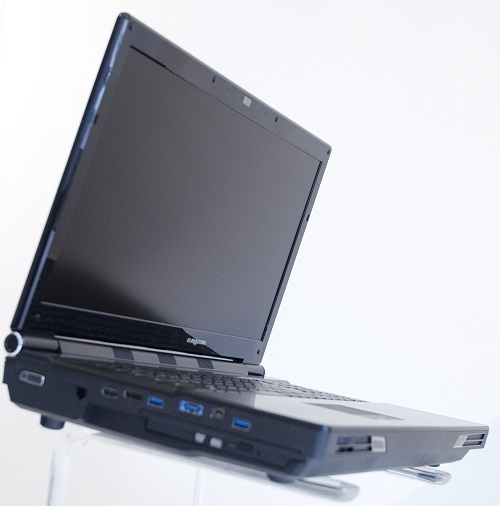 “The EUROCOM Panther was already the most powerful laptop in the world and is now even more powerful with the introduction of dual AMD Radeon HD 8970M graphics to accompany the Intel Core i7-3970X processor, 32 GB of available memory and up to 4 storage drives” Mark Bialic, Eurocom President. Enjoying the latest games and content is all about visuals. The Panther line of gaming laptops from Eurocom support beautiful full high definition 1080p 1920x1080 matte and glossy displays with the option to go with a super fast refresh 120 hz panel to eliminate ghosting and maximize your ability to dominate your opponent in the latest games. a wide range of connectivity and expansion technologies are supported, such as USB 3.0, Firewire 800, Expresscard 34/54, eSATA, HDMI 1.4a, Display Port 1.2, DVI-I and a 9 in 1 media card reader, in addition to several others. The expandability of the Panther allows it to accommodate additions to its capacity and capability. The ExpressCard technology is designed to deliver high performance, modular expansion.